You'll get access to our extensive inventory of great lease option and land contract homes in your area before anyone else. et the best deals on lease option and land contract homes in your area through our massive network. We have access to tons of motivated lease option and land contract sellers who want to sell their properties quickly, and at the lowest prices in the marketplace. 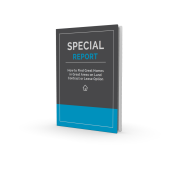 By joining our Buyers Hot List, you'll be the first to know when any new lease option or land contract homes are added to our inventory and we'll immediately send your FREE copy of our newest report, "Special Report: How to Find Great Homes in Great Areas on Land Contract or Lease Option." Get Your Next Home Here! Complete this short form to join our Buyers Hot List and receive lease option and land contract properties for sale in your area first PLUS get your FREE copy of my new report. © R2OWNUSA LLC All Rights Reserved.